I was innocently passing the MAC counter in the airport last weekend when this little dazzler practically threw itself into my hands. Despite a solemn vow to himself that I would reign in my makeup addiction before my collection has entirely taken over our home, this particular purchase was entirely necessary because a) it was my birthday, b) I don’t own anything like it and c) airport shopping doesn’t count. Right? Right. 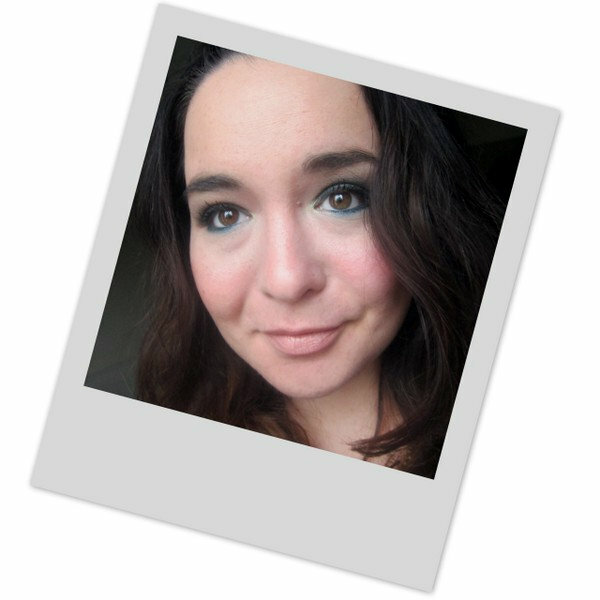 One of five shades introduced last year, Smutty Green is my first Mineralize eyeshadow, and it’s spectacular. When the light catches it, the colours really come alive – it’s a blackened green with green shimmer and packs some serious sparkle. I’m wearing it here over a base of MAC’s Painterly Paint Pot, with some Rimmel Kohl Liner in Jungle Green and a dab of lighter green in the inner corner. I’ve heard mixed reports on how these shadows perform but I was plenty pleased with this one - there wasn’t as much fallout as you’d expect from a dark, glittery shade like this, it lasted well and was easy to apply and blend. If you love a good smoky eye but you can't be bothered faffing about with loads of different products, this will be perfect for you - the different colours and finishes in the one shadow combine to give lots of depth and interest to the look. It’s on the sheer side and the sparkle and shine faded when I blended it out, but I just kept packing on more - it’s not exactly an office shade, so I’d no hesitations in piling it on for the evening. I used it dry and from all reports it’s even better wet, so I’m happy out. This was €16 in duty free which saved me a few bob on the regular price tag of €21.50. MAC recently released another five of these shadows as part of their Apres Chic collection – they’re limited edition, so I’ll be checking ‘em out soon. Have you tried any of these shadows? Are you a fan? Absolutely a fan of this colour, just gorgeous! I have one of these shadows in a copper colour with some streaks of pale purple through it (I forget the name). I admit I too was surprised that it doesn't flake off every where. Who are you kidding? Walking innocently past the Mac counter...bahahahaha!! I've recently fallen hook, line and sinker for all things mineralize, but I've yet to try their eyeshadows. The colour looks lovely but it's similarish to Greensmoke, which I already have and found very hard to blend. How are they at blending for the cack handed among us? Airport shopping really doesn't count!! Its so pretty!!! Oh wow! This looks amazing, I love how you've blended it with your other products. I'll be taking a look next time I pass the MAC counter! I love a smokey green shade this is lovely! 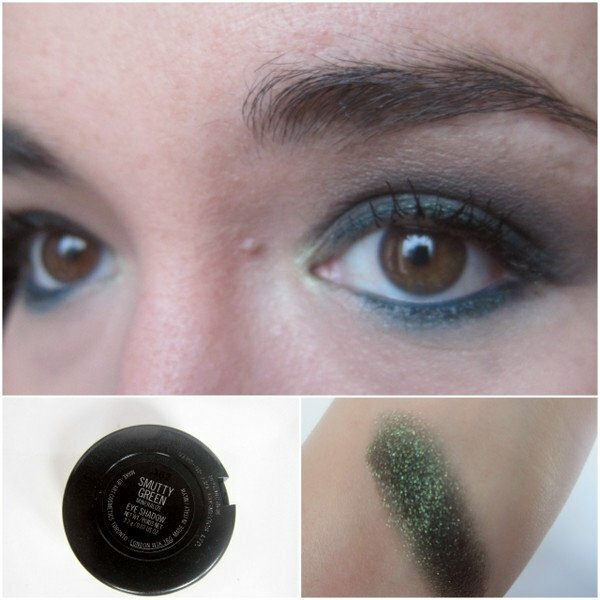 Smutty green.....ok that is on my list because I love LOVE green eyeshadow and with minimal fall off I am interested. This looks gorgeous on you E, I'll have to check them out myself and as I'm heading away in a few weeks, I'll totally be living by your rules that airport shopping doesn't count! Wow...the color scared me a bit but you applied it with expertise. I wish I could apply eye make up better. Ha ha I have a color similar to this and it is fun. i love how that looks on you! georg!! Looks a like a gorgeous color. Suits you well. Oh Emma this looks stunning on your eyes! That's such a gorgeous shade. I've sort of gone off any shadows that don't fall into the 'neutral' category in the last while, but that's so pretty. That color is so pretty. It is very different from what I usually wear but I would love to give it a try. Emma, this looks great on you. I wonder if I can carry this color off? Great review. What a great looking eye shadow! Looks gorgeous in the picture.